A couple of weeks ago on a scorching NYC Sunday, Mark Bittman’s watermelon article inspired me to make pops – gourmet, that is. 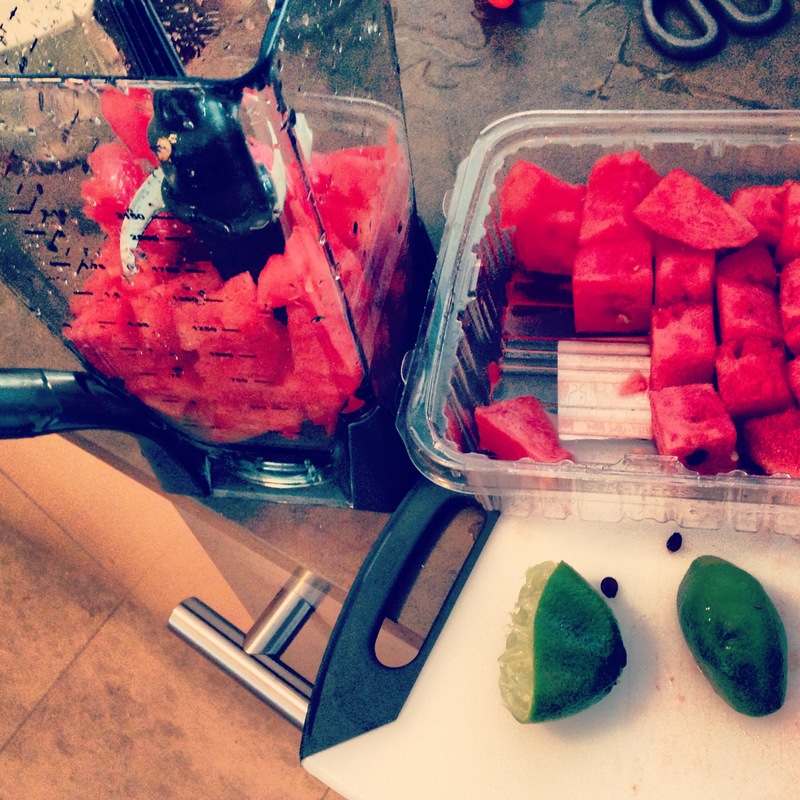 His recipe calls for sugar and water, but I stuck to just watermelon and fresh squeezed lime juice and blended it all up. Eyeball it. Pops are supposed to surprise you. While I was lazy and bought pre-cut watermelon, the right way to do it is get your watermelon whole. How to tell if your melon is ripe? According to Bittman, “Put your ear close and slap the side of the watermelon. If it makes a hollow sound, you’re in business.” Slap the melon! And of course, enjoyyy.